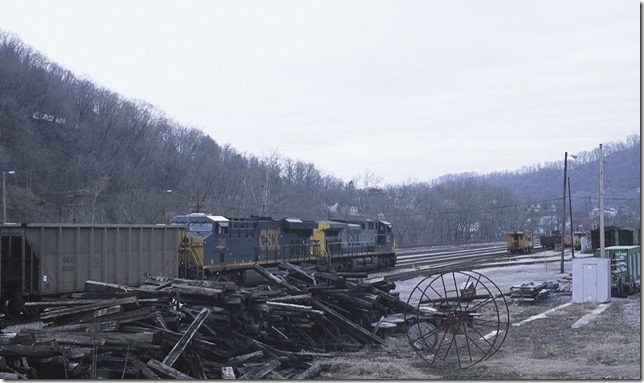 CSX - Eastern Kentucky misc. 1. 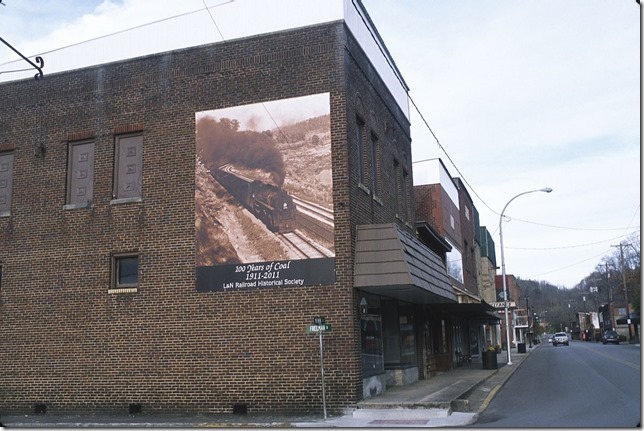 L&NHS sponsored mural on Main Street of Cumberland, Ky. Unfortunately the nearby Lynch 3 mine is now shut down. View 1. 11-11-12. 2. 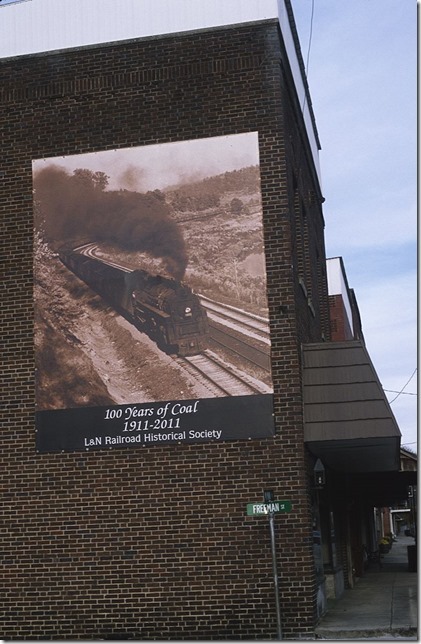 L&NHS sponsored mural on Main Street of Cumberland, Ky. Unfortunately the nearby Lynch 3 mine is now shut down. View 2. 11-11-12. 3. 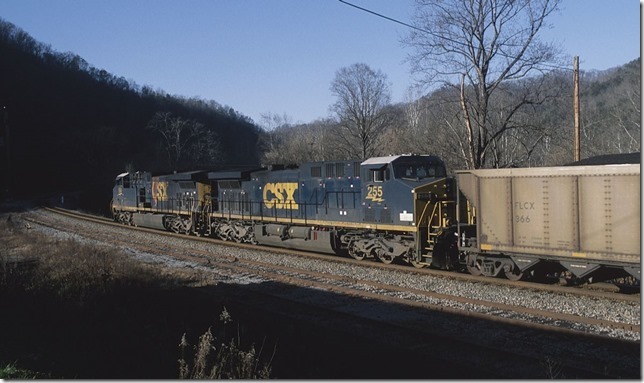 CSX 167-217 heads shifter C881 (Martin-Shelby Shifter) with 98 GACX loads at Titan Siding (Island Creek Road) near Pikeville. 11-11-12. 4. 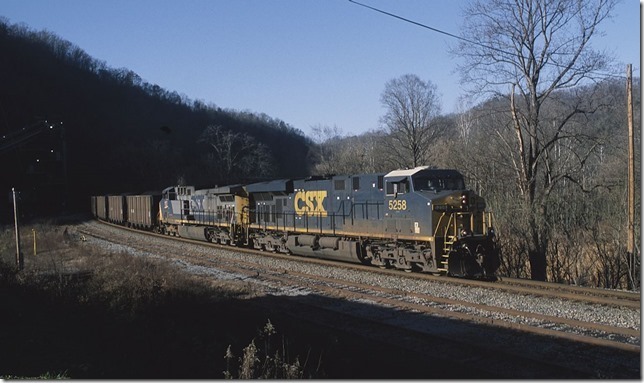 CSX s/b N406-09 behind 5258-157 with 110 GACX, FLCX, CEFX and CITX loads passing Levisa Jct. 12-13-12. 5. 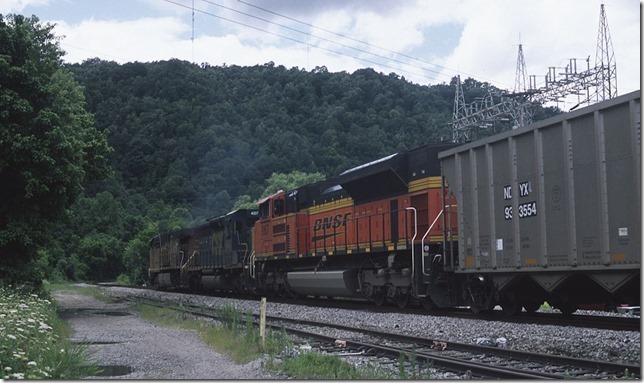 Pusher 255-564 on N406-09. 6. 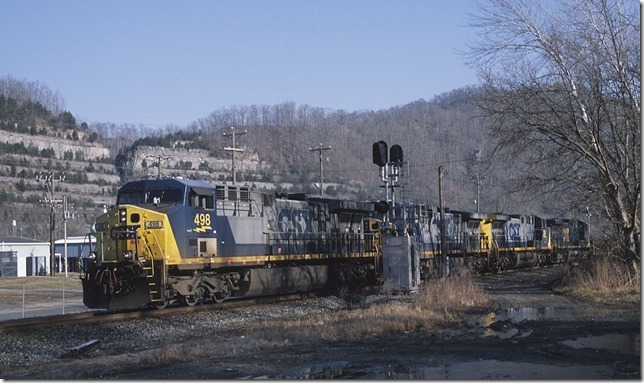 CSX E350-26 s/b with engines 542-780 arrives N. Hazard Yard from Ravenna with GALX empties. Hazard Tunnel is in the background. 1-27-13. 7. E350-26 rolls to a stop for a crew change. 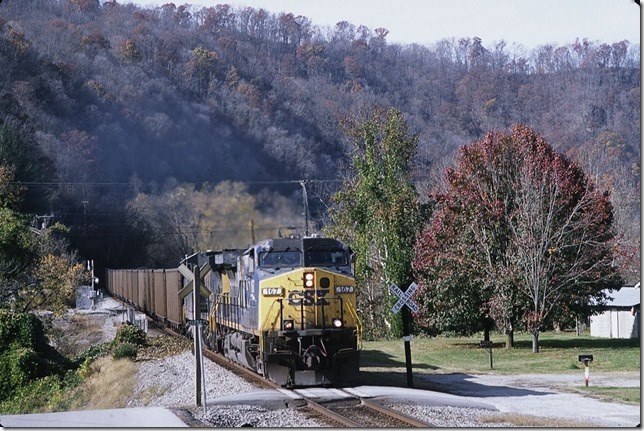 New crew will take train to Martin. 8. 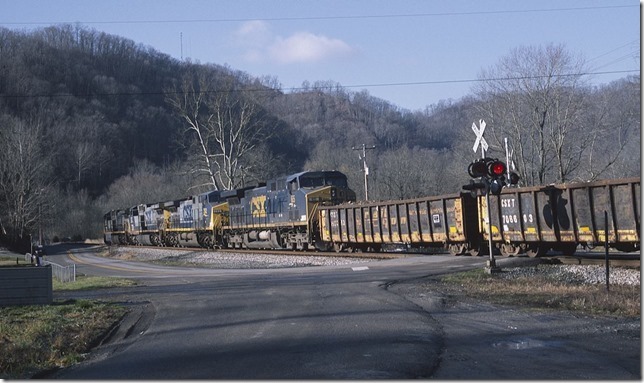 CSX 498 leads a 62-car Q697-13 westbound at Boldman on 2-12-13. View 1. 9. 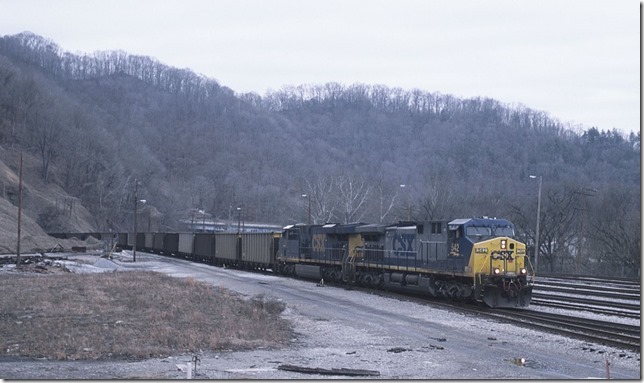 CSX 498 leads a 62-car Q697-13 westbound at Boldman on 2-12-13. View 2. 10. 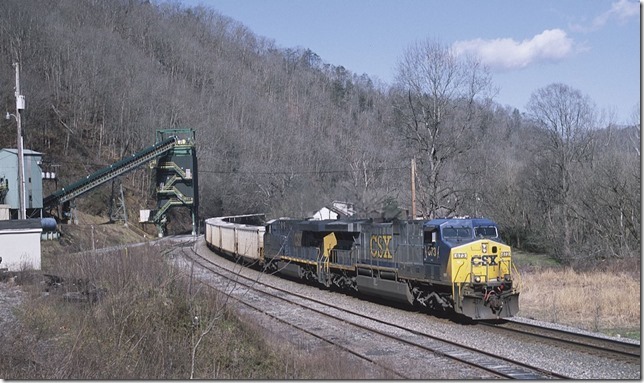 CSX 673-3004 on shifter F892-19 (Dante crew) take 100 empties south to McClure Mine for met coal loading. Levisa Jct., 3-19-2013. 11. 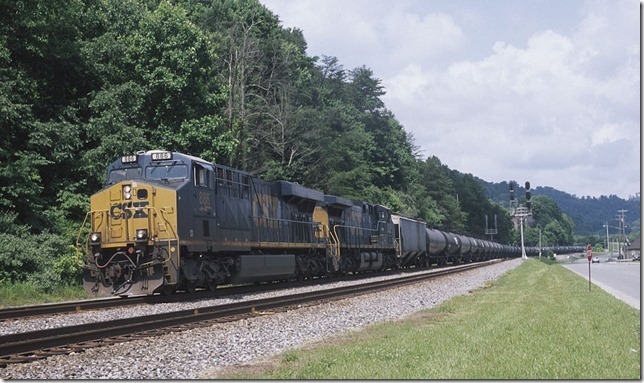 CSX 886-5106 on e/b loaded ethanol train K429 at the East End Pauley near Pikeville on 6-22-13. 12. UP 5748-CSX 4007-BNSF 9167 move 97 NDYX empties west at Betsy Layne on 7-14-13. View 1. 13. 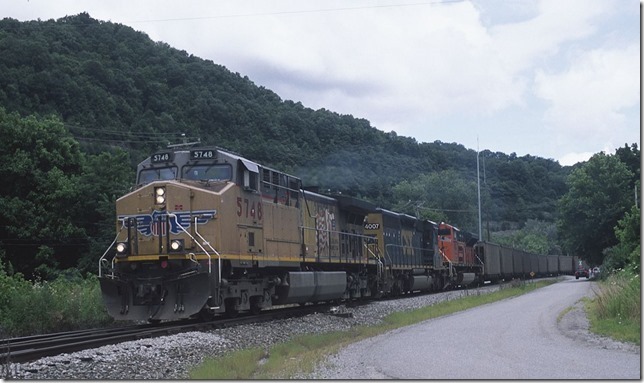 UP 5748-CSX 4007-BNSF 9167 move 97 NDYX empties west at Betsy Layne on 7-14-13. View 2. 14. 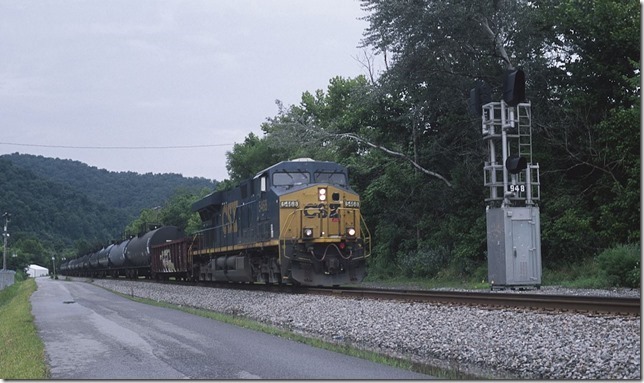 CSX 5468 hustles a westbound train of 29 tank cars of anhydrous ammonia at Boldman on 7-21-13.